This prop is a handheld holographic projector. The goal of this project was not merely to design a simple prop, but to explore multiple construction techniques and complex wiring in a small space. The light ring contains 10 LEDs, the faux touchscreen contains 4 LEDs, and the emitter section contains 3 bright white LEDs and 3 multi-color programmed LEDs. There's a main power switch on the bottom of the unit and a mode select button on the touchscreen to control the programmed LEDs. 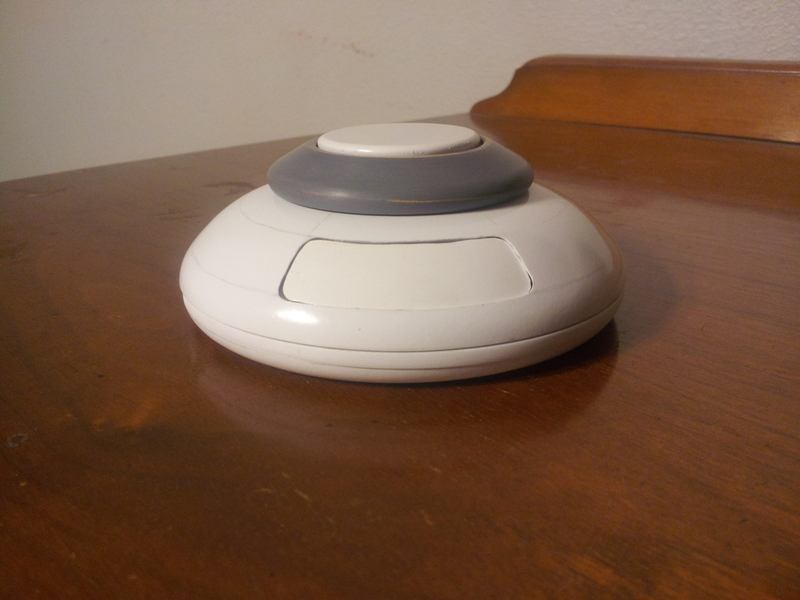 The concept was fairly straightforward as the main shape was to be a disk about 4 inches in diameter and 1 1/4" tall. 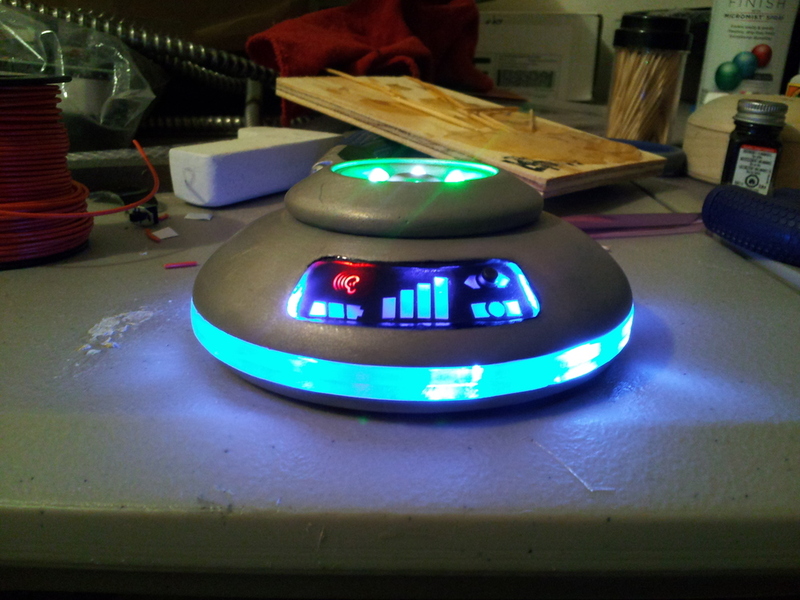 The general style would be a silver housing with a blue LED color scheme. Originally, the emitter section was going to rotate with a ratcheting feel to it. This approach was later abandoned due to its irrelevancy on film. There was to be a control console showing signal strength, battery level and 'Red Ear' status (the web series' equivalent to Bluetooth). 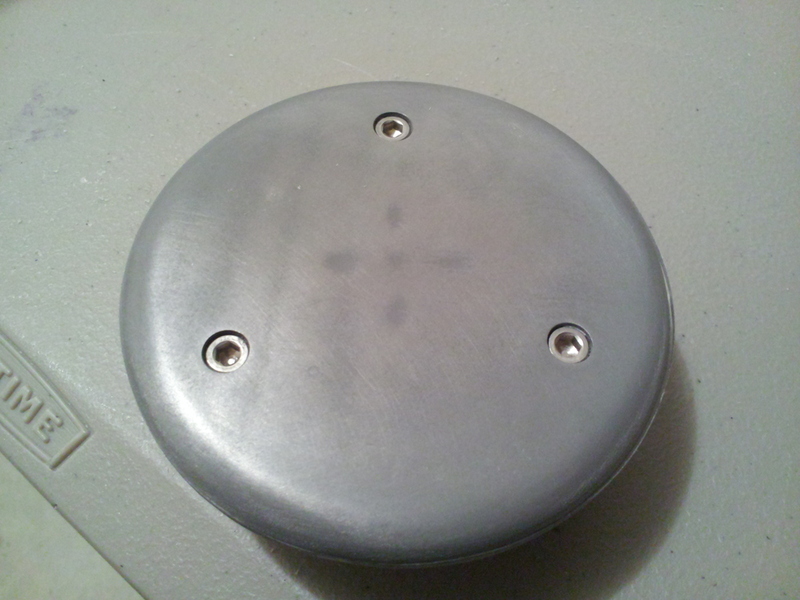 The LED light ring was added later in the design process. 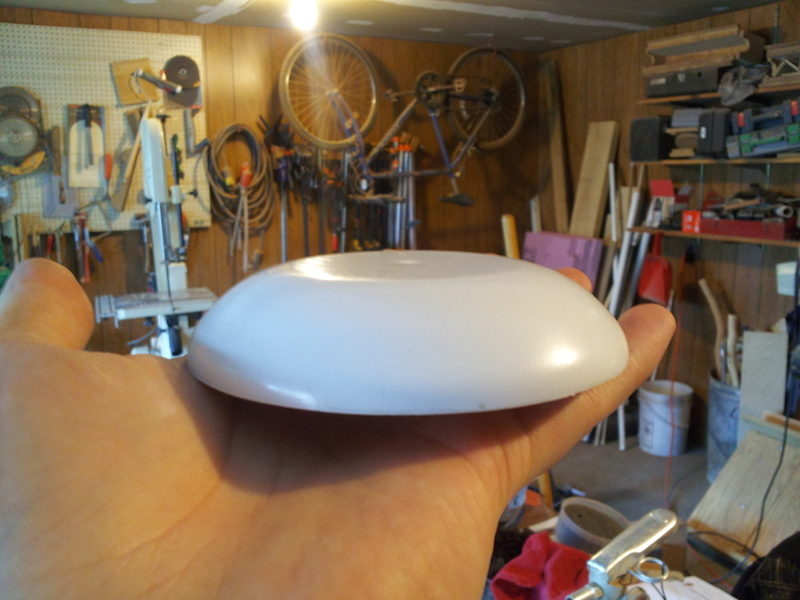 The shell was made by vacuum forming 1/8" styrene over a wooden buck that was turned on the lathe. The buck was used to make both the top and bottom halves of the shell. 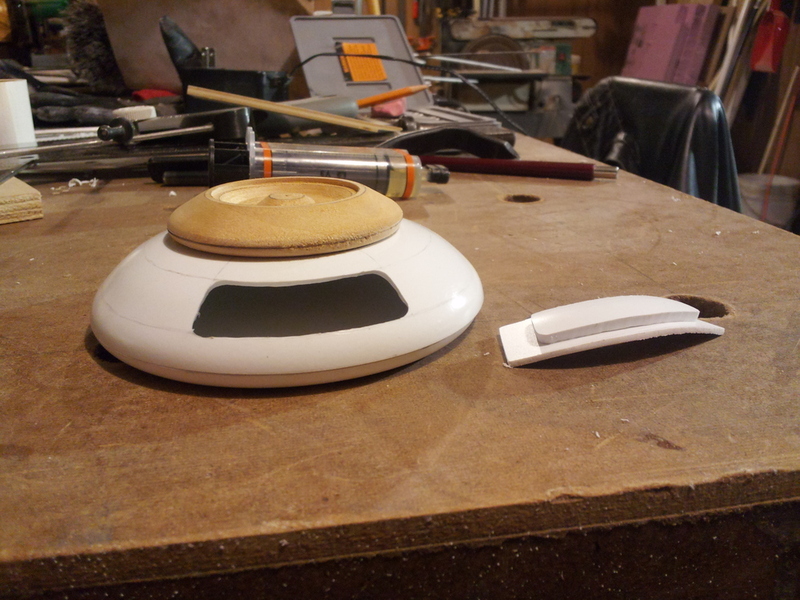 The emitter section was made from a piece of wood turned on the lathe. The other pieces were cut on the bandsaw or scroll saw. The screw mounts were made of 1/2" dowel epoxied to the shell. 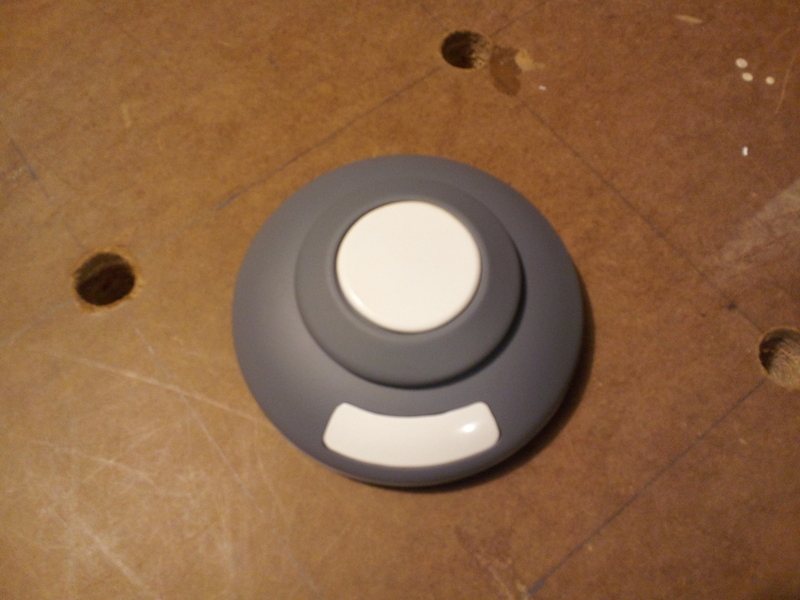 5 mm diameter holes were drilled to hold the LEDs in place for the emitter. 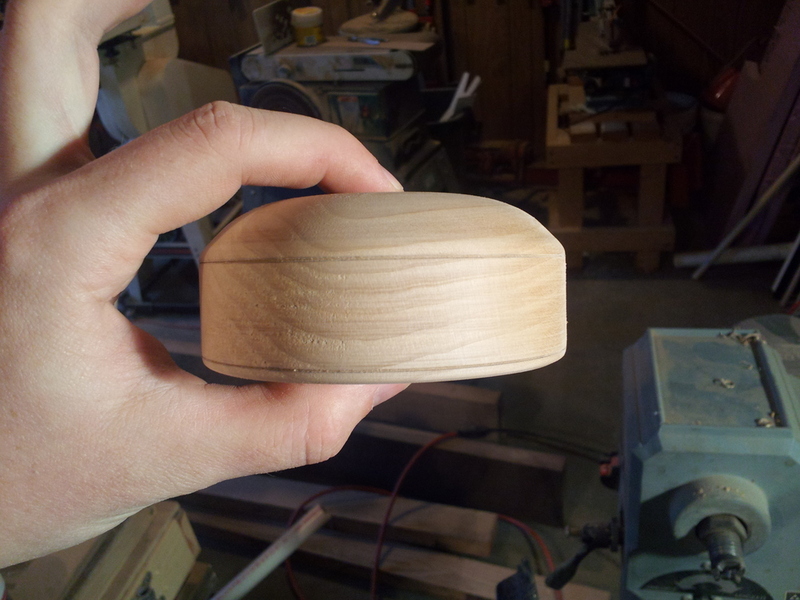 A mold box with 3 sections was made out of 1/2" plywood. 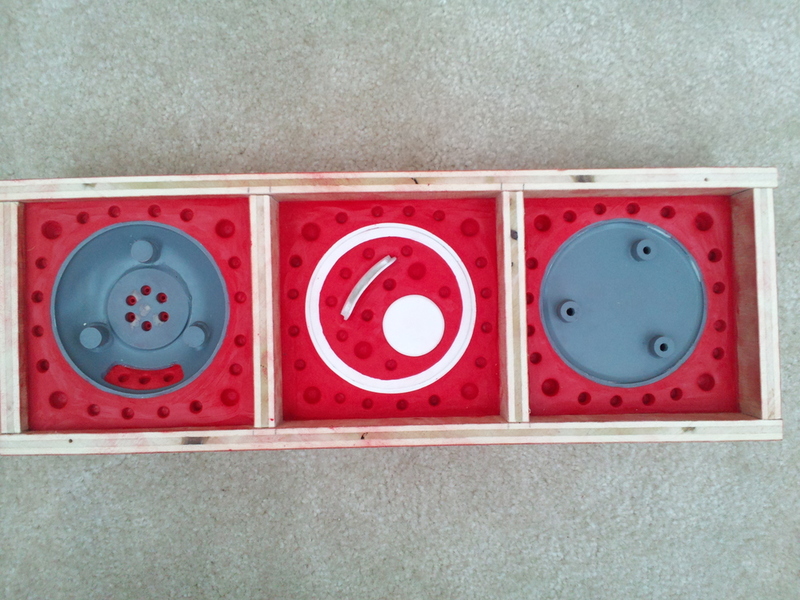 The standard clay and silicone rubber method was used to make the 3 separate molds. 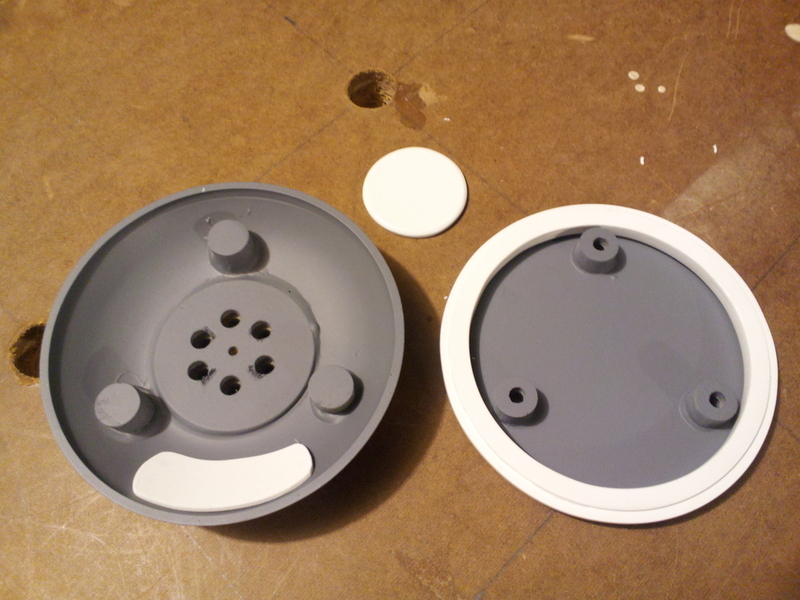 For casting, the middle section would be cast with clear urethane resin while the other two were with regular resin filled with 1/3 aluminum powder by volume. The plan to use clear casted pieces for the ring, emitter cover, and touchscreen changed to using plexiglass for simplicity of production. The touchscreen was composed of a sandwich of smoked plexiglass, transparency with the images on it, and semi-transparent acrylic for light diffusion. Posted on January 3, 2015 by Michael Kretschmer.